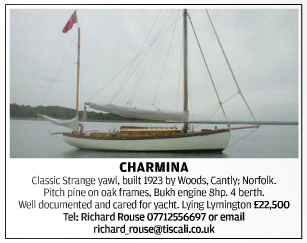 Charmina, was up for sale in 2013 which provided an excellent opportunity to grab photographs and information about this lovely Albert Strange designed boat. She's been the subject of three books, written in the 1930s by custodian Keble Chatterton; Through Brittany in Charmina, On the Riviera in Charmina, and To The Mediterranean in Charmina. 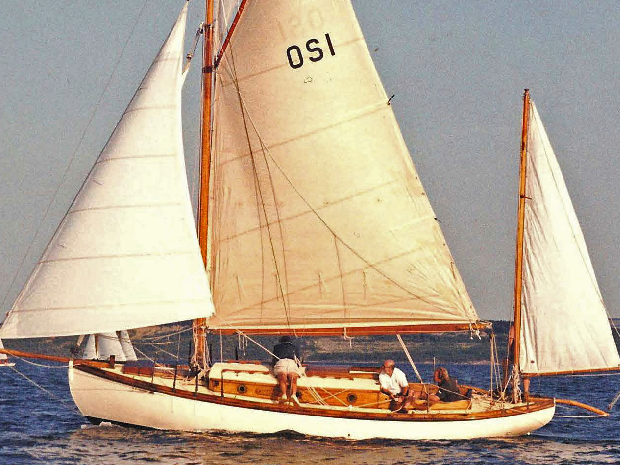 For many years she has been a Solent boat, often racing and occassionally doing rather well; she's won YOGAFF twice under the command of Richard Rouse. I'm hoping the new owner will enjoy being an Invited Friend of the HBA.